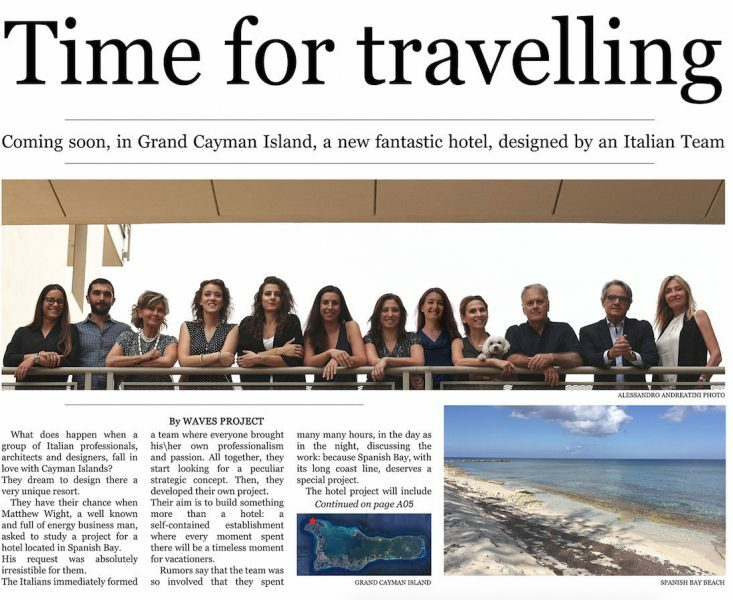 What does happen when a group of Italian professionals, architects and designers, fall in love with Cayman Islands? They dream to design there a very unique resort. They have their chance when Matthew Wight, a well known and full of energy business man, asked to study a project for a hotel located in Spanish Bay. His request was absolutely irresistible for them. The Italians immediately formed a team where everyone brought his\her own professionalism and passion. All together, they start looking for a peculiar strategic concept. Then, they developed their own project. Their aim is to build something more than a hotel: a self-contained establishment where every moment spent there will be a timeless moment for vacationers. Rumors say that the team was so involved that they spent many many hours, in the day as in the night, discussing the work: because Spanish Bay, with its long coast line, deserves a special project.